If you’ve been hearing a rumbling that literally defines the word ‘Impact’, then it might be the human steamroller known as Fallah Bahh. The super-sized Super Ball has been bouncing around his opponents since arriving in Impact Wrestling in mid-2017, much to the delight of the company’s fans. 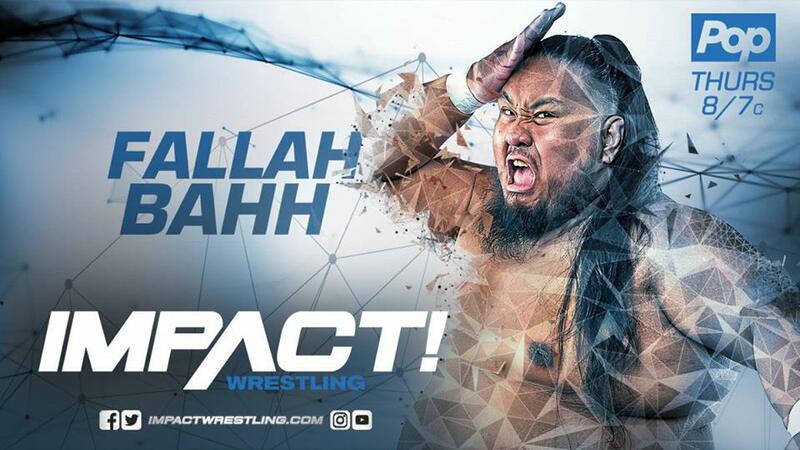 Fallah has developed a cult-like following among the longtime crowd in Orlando, and today, he’s one of the emerging faces of a company that continues its steady build toward a new era. “The call from Impact last year really felt like a blessing,” Bahh told TheGorillaPosition.com in an interview just before this week’s episode of Impact on Pop aired. “Everything goes into place, like a puzzle piece. You wrestle all these years and have all these shows. You have a goal. You start to think that it’s never going to happen. That outlook is portrayed in his character: a 400-pound, lovable teddy bear, who always manages to have a good time while thundering through his opponents. As his character gets more exposure, he’s receiving more and more positive television reaction. With a head of steam behind him, Fallah has gone full force, becoming the type of steady and reliable onscreen performer that Impact needs right now. He provides some lighter moments that always help move along a typical episode of Impact on Pop rather nicely, all while the audience chants his name right along with him. Bahh’s likability and willingness to embrace the people are easily picked up by the camera, and the reaction from the live crowd plays well on the broadcast. Part of that connection comes from a particularly entertaining spot he performs, where he lays his opponent on the mat and literally dog rolls over them. 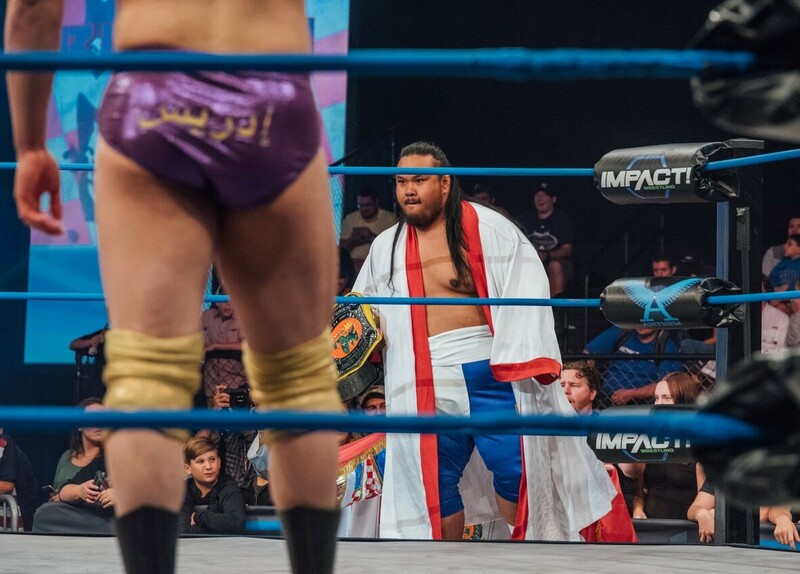 In the process, Fallah flattens them with his own kind of ‘mass appeal’: Every time the crowd knows it’s coming, they give the Filipino star a response that’s almost as big as he is. 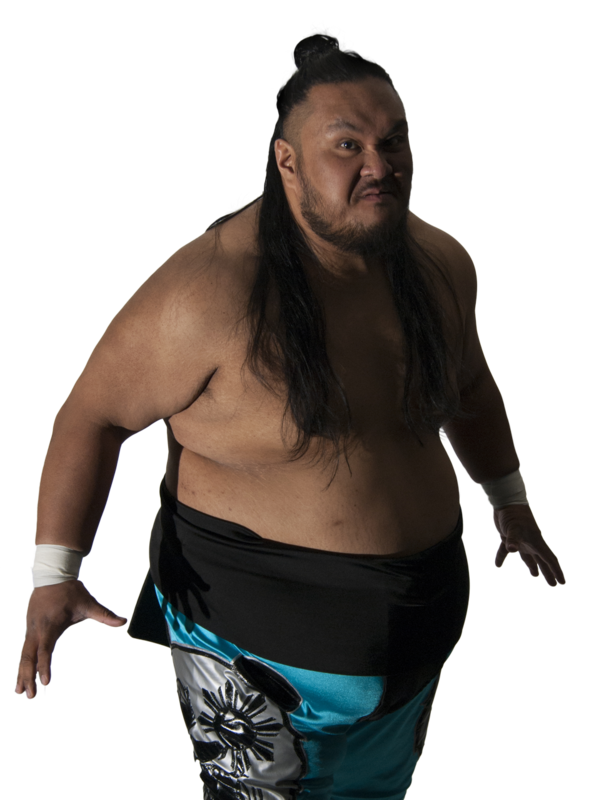 In the meantime, Fallah says everyone from writers to fellow wrestlers have tried to give the unorthodox maneuver a different moniker. Officially, the move is called ‘The Panda Express’, and it always gets a huge reaction from the fans in attendance at the Impact Zone. Prior to arriving in Impact, he worked extensively with two of the east coast’s best trainers, Pat Buck of Wrestle Pro and Danny Cage of The World Famous Monster Factory in New Jersey. Bahh would team with Mario Bokara to form The Money and the Miles, capturing the Monster Factory Pro Wrestling tag team titles along the way. Fallah says he’s benefited greatly from the veterans who guided him in his journey to Impact Wrestling. In recent weeks on Impact, he’s been in an onscreen, odd-couple pairing with KM, who disavowed his ‘fat shaming’ ways and promised to now have Fallah’s enormous back. This has led to some hilarious scenarios between the big man and the former bully. In this week’s episode, the two appeared in a vignette, where Bahh was doing exercises in order to lose weight, while KM ate junk food and watched. 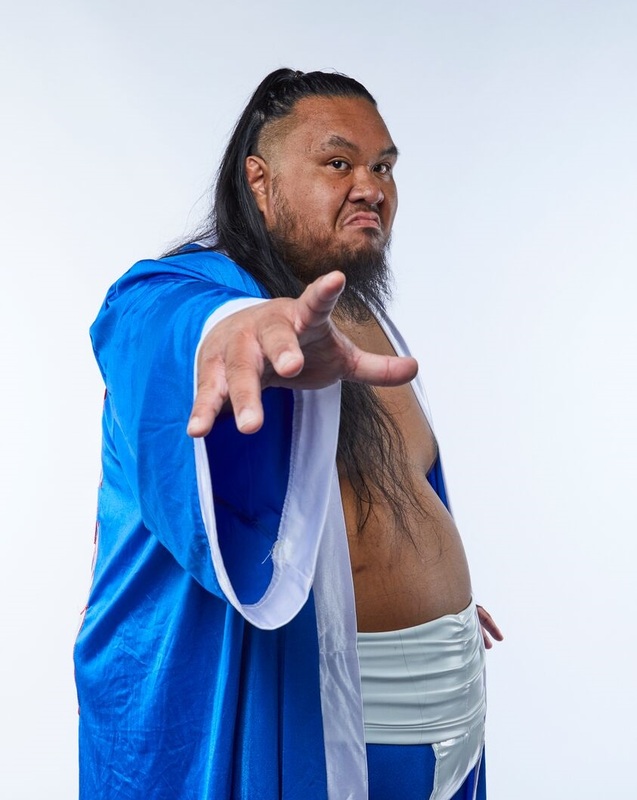 Fallah says he’s enjoyed working with ‘KM’ Kevin Matthews; Both men are veteran, east coast performers who have finally gotten a chance to shine under the company’s new regime. As he continues to establish a solid fan base in Impact, Fallah says he will keep going out to the ring with one purpose: to make the people just as happy as he is. And, even though he’s recently gained a huge amount of momentum, the big man says nothing has changed in terms of his appetite for wrestling. He still has the same hunger that he had as a rookie.